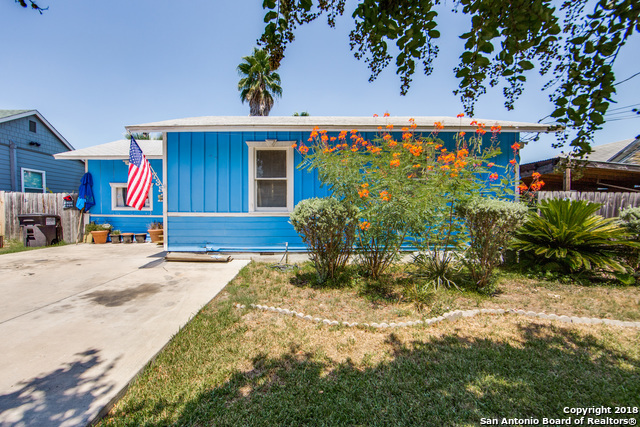 All tobin hill east homes currently listed for sale in San Antonio as of 04/26/2019 are shown below. You can change the search criteria at any time by pressing the 'Change Search' button below. "Two story main house 3 bed/1 bath downstairs, 2 bed/2 bath upstairs with additional detached 829 square foot apartment 1 bed/1 bath, two master bedrooms one upstairs and one downstairs. Covered three car carport parking with detached one car garage, original wood floors, new flooring in detached apartment, spacious front porch, common water meter, split gas meters, and three electric meters. Walking distance from the Riverwalk, restaurants, and shopping at the Pearl. Welcome home"
"Amazing Opportunity to Own A House in a Prime Location! This House is Steps Away from the Foot Bridge to the World Famous Pearl Brewery & The Hotel Emma. The Pearl Brewery Offers Award Winning Dinning, Shopping, Nightlife & Much More. Downtown San Antonio is Only Blocks Away Guided by a Bike Lane. The House Features; Original Hardwood Floors, Updated Kitchen, 3 Bedrooms, Awesome Game Room & Much More. Outside Has An Extended Parking Area & Carport, An Oasis for a Backyard & An Amazing In-Ground "